Hey there! Thanks for dropping by Multi-Tech Products! Take a look around and grab the RSS feed to stay updated. See you around! How to install support beams under a fiberglass pool, spa, hot tub shell? Hello, I have a customer that needs to add more mechanical support under their spa to distribute the weight more uniformly, and reduce stress levels to prevent cracking. It is out of the manufacturer’s warranty. What do you suggest? The following picture shows a very nice aftermarket adjustable support added to an FRP Spa shell. The most important requirement for installing additional support is to prevent the new beam from puncturing the wall of the spa. The method used to accomplish this is to install the beam so it transfers the weight to a strong metal plate between the beam and wall. Please reference the picture above. If there is a seat, step or flat area that would accept a support beam, and if it is accessible, remove any foam and expose the structure of the shell. If you believe there is a plate and need to confirm, grind off the resin/glass to expose the plate for confirmation. The picture above shows an intended design and original equipment manufacturer (OEM) requirement. The plates were built-in at the factory at the time of manufacture. That is not going to be the case on every spa shell. There is a wrong way to add support. One example is adding 2″ x 4″ wood stud material directly to the shell without a plate. This is very bad practice since the large load of the spa will force the wood beam to eventually puncture the shell wall. I have seen this many times as a technician in the field. 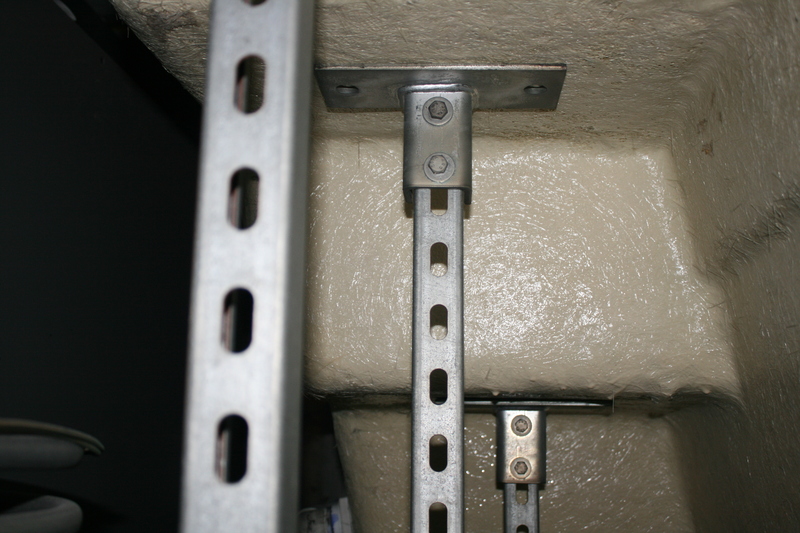 Even the nice support beam in the first picture above with its built-in, top metal plate would pierce a normal spa wall without the addition of a strong weight distribution plate embedded in the structure or added in some alternative method. Ideally, the best method would be a wood plate (as large as possible for the flat area). 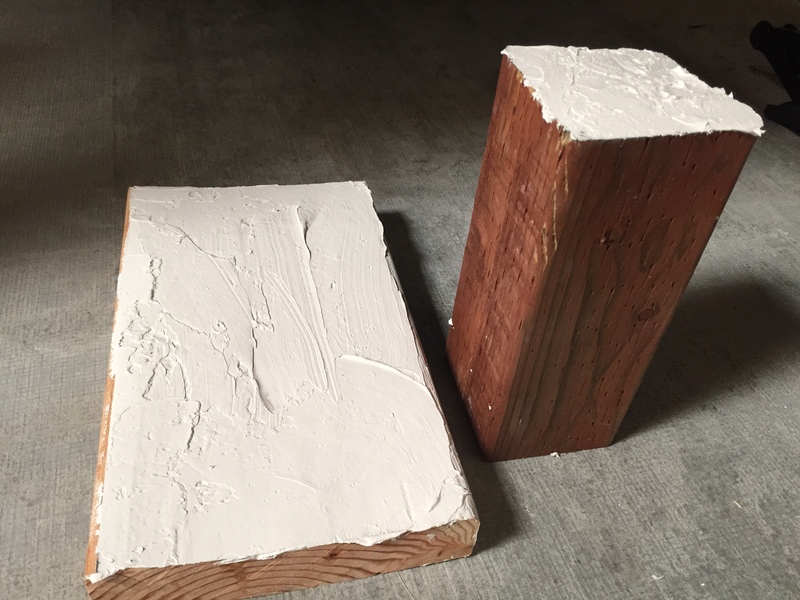 I would suggest a block of wood 2″ thick x 12″ x 12″ to start or as large as it can be while achieving good contact with the flat area. Be sure the plate sits flat against the spa structure. Try to make it parallel to the spa base. 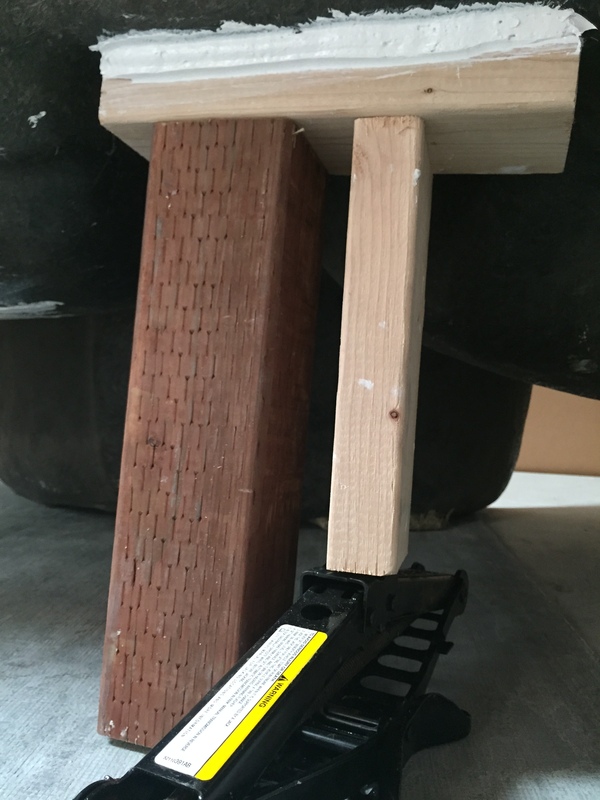 Use a 4″ x 4″ beam cut to size for the support. 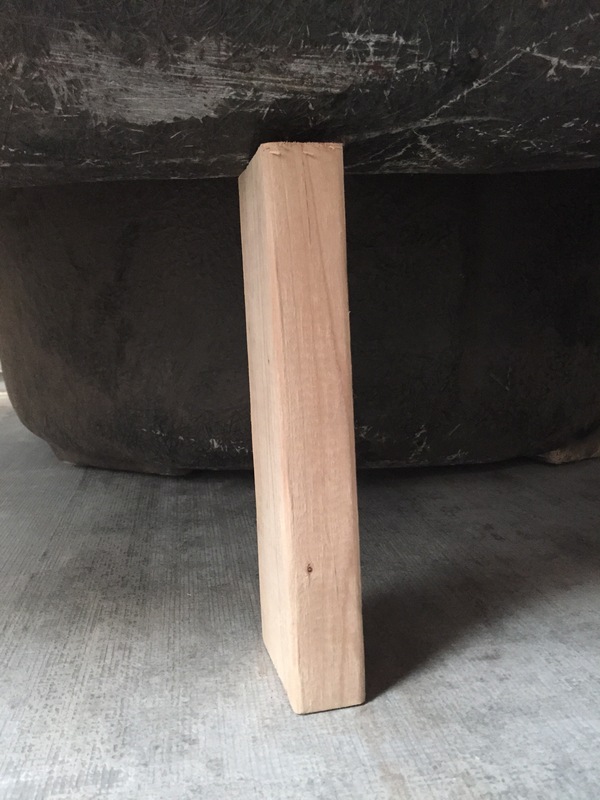 Be sure the 4″ x 4″ beam sits solidly on the deck, concrete pad or spa frame. A plate may be necessary there as well. It would be best to secure the plate and support to the spa shell. It should be done with Multi-Tech Products Polyester resin paste. Resin paste will provide about 30 to 40 minutes working time before it sets. It is somewhat temperature dependent. In weather below 55 degrees, it may be necessary to apply heat after the application to cure the paste. Grind the surface with 50-100 grit sandpaper to accept the Paste for good adhesion. Apply catalyzed paste to the plates prior to setting them in place. Secure the plate to the bottom of the spa with Resin Paste. Secure the beam to the bottom of the plate with the same “Paste”. 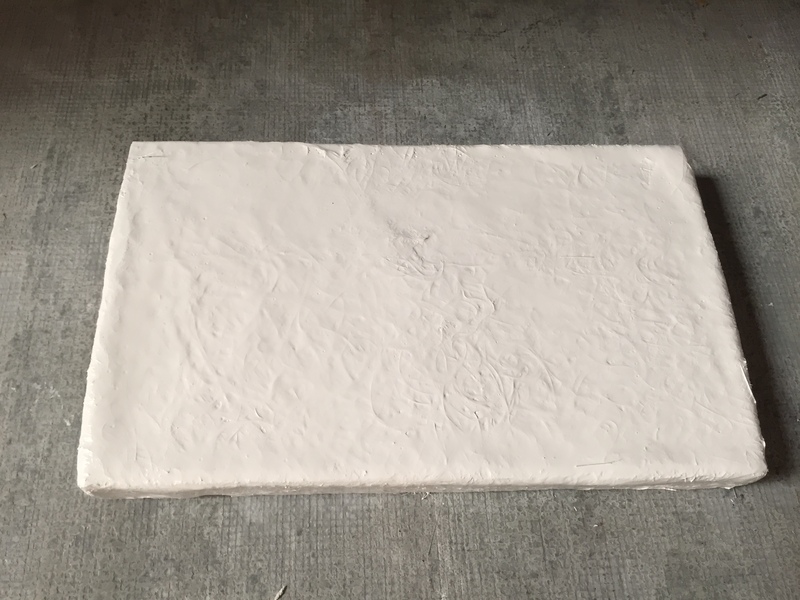 The “Paste” can also be used to achieve maximum contact between the plate and the bottom surface of the spa structure where angle changes or uneven surfaces prevent full contact. Good, wide area contact is needed to distribute the load. If the environment under the spa is frequently wet and the wood might eventually rot, use treated lumber, or the plate and the beam should be encased with resin and fiberglass prior to installing the beam and plate. 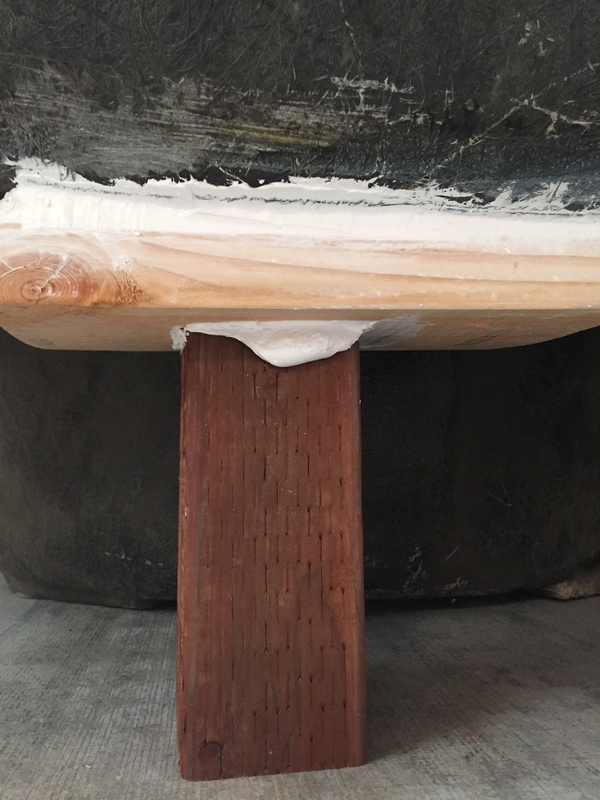 The following picture shows the wooden plate after encasing in fiberglass reinforced resin. 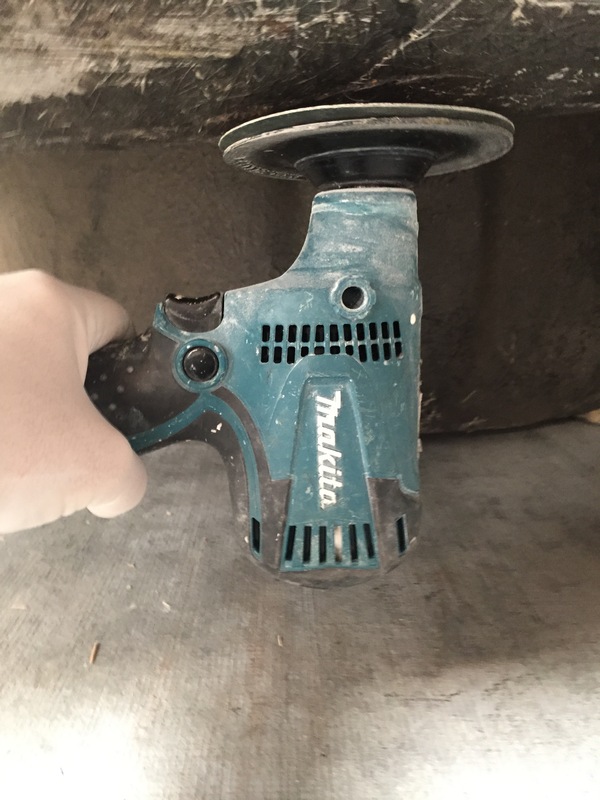 If the spa needs to be lifted to insert the beam device, install the plate with paste, and allow it to set (cure). Then lift the area up with a hydraulic jack (car jacks work, also). Push the new beam into place (adjust beam length, if needed), retract the jack and allow the spa to set on the new beam. If additional supports are needed, repeat this process in order to distribute the total spa load throughout the spa. One way to determine the need for additional support beams is to empty the spa, and put significant body weight in the unfilled spa shell. If the shell moves, flexes, or the seats move downward with weight applied, this could indicate the need for additional under spa support. This movement could would be due to either inadequate FRP reinforcement or insufficient mechanical support devices. Properly distributed support is required to keep the spa shell from excessive downward movement due to the load derived from water and humans. Pay close attention to the lip. If a spa shell is built in a way to rely mostly on the edge support to provide the structure’s strength, the lip will move and deflect downward. This would cause initial sagging and eventual cracking of the spa shell inner lip area. Also, cracks inside the spa shell at upper corners could confirm inadequate supporting fixtures. If the spa is within the manufacturers warranty, I would consult them before proceeding with an independent repair. If it is not covered by warranty, good judgment must be used, but excessive movement begs for additional support to avoid problems. How do cracks occur in a spa shell? I am a spa surface repair contractor, and I perform manufacturer warranty work and non-warranty repairs. I have a customer with an acrylic spa containing a crack at the rim. What causes these type of problems, and what is correct method to repair? Carlos, thanks for your inquiry. The information I am about to share will be very valuable to you, and other repair technicians. It will enhance your overall knowledge on troubleshooting spa problems, and improve your repair results. It will minimize the potential of returning at a later date to fix the same or additional cracks. This will make you a more valuable resource to your manufacturer clients for warranty repairs. We also recommend that you know your manufacturers well. That includes the basics of their designs, and the terms of their warranty. Understand the manufacturer’s guidelines for installation. If it is possible, make a visit to the manufacturer’s plant. During a complete tour, pay attention to what they use for shell support, and where it is placed. Ask about the use of insulating and structural polyurethane foam. Check the thickness of the shell in various locations. Observe if there are any unique materials or devices used to add reinforcement. One manufacturer uses large diameter PVC pipe to provide support under the key portions of the spa (picture below). Understand that a spa is a reinforced composite structure, and the details of the reinforcement are extremely important Some manufacturers even have specifications on how much deformation along the rim is allowable under normal loads. Also, know what the shell material is. Is it monolithic acrylic, or is it co-extruded acrylic over ABS? Is it reinforced with FRP (polyester resin with chopped glass fibers), or is it polyurethane? Is a vinyl ester used in the reinforcement composite? Your question is a very complex one. First, you did not mention whether it is a portable spa, or if it is an in-ground or in-deck installation. You also did not mention whether it is under warranty. Also, if it is a portable spa, does it have an ABS plastic pan for a bottom? 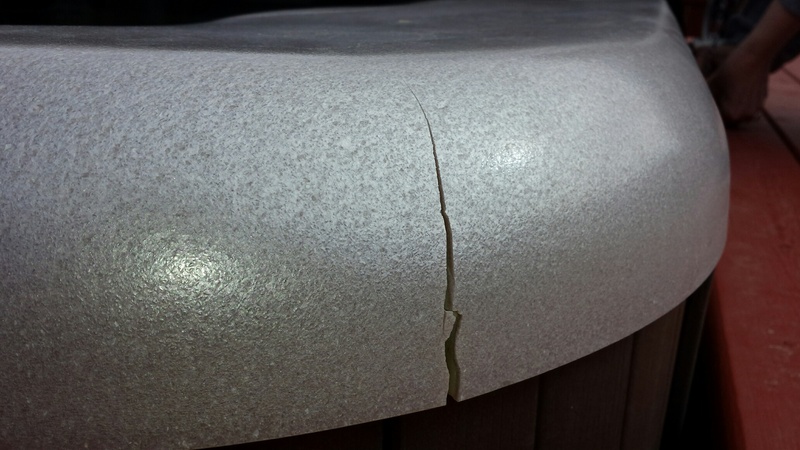 Before repairing a cracked spa, a repair professional should investigate the circumstances enough to try to determine the root cause of the crack. This may not be easy, but you should strive to define the most logical cause. First, cracks occur when the material is subjected to a stress that exceeds its strength. The material strength will decline as temperature is increased. Certain types of chemicals will also accelerate crack formation. See other blog entries that discuss chemical attack. Acrylic is known as a fairly brittle polymer, and will crack under excessive stress. Obviously, a large impact from another object will cause a crack. In the absence of an impact, most spa cracks occur due to inadequate structural reinforcement. 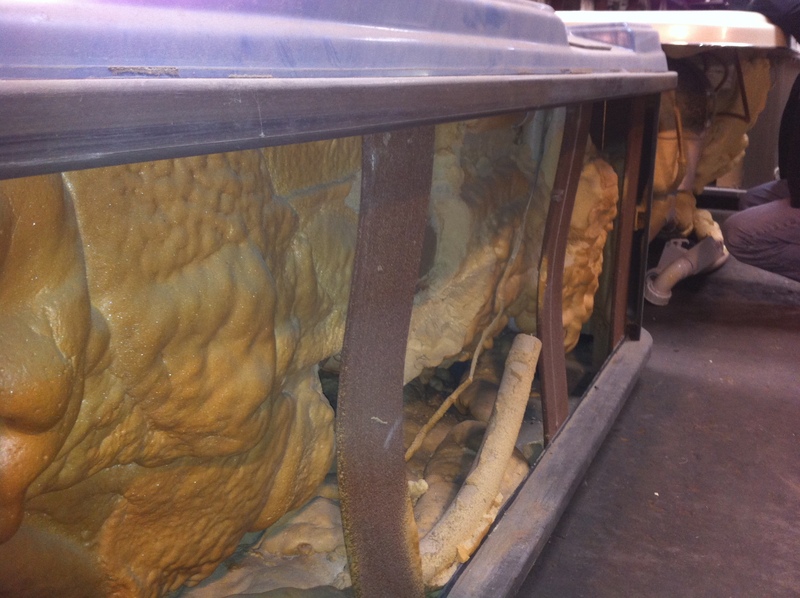 An 8-ft. spa may contain 400 gallons of water, which results in about 3200 pounds of weight. Add a few people, and the total weight can exceed 4000 pounds. Unless the stress ( pounds per sq. ft.) from this weight is spread over the entire surface area, it can cause a crack(s) at the high-stress points. This is typically at the rim. So, manufacturers of portable spas must incorporate enough support beams or other devices under the rim, seats, and floor to accomplish this stress reduction. Sometimes, manufacturers fail to accomplish it 100% of the time. 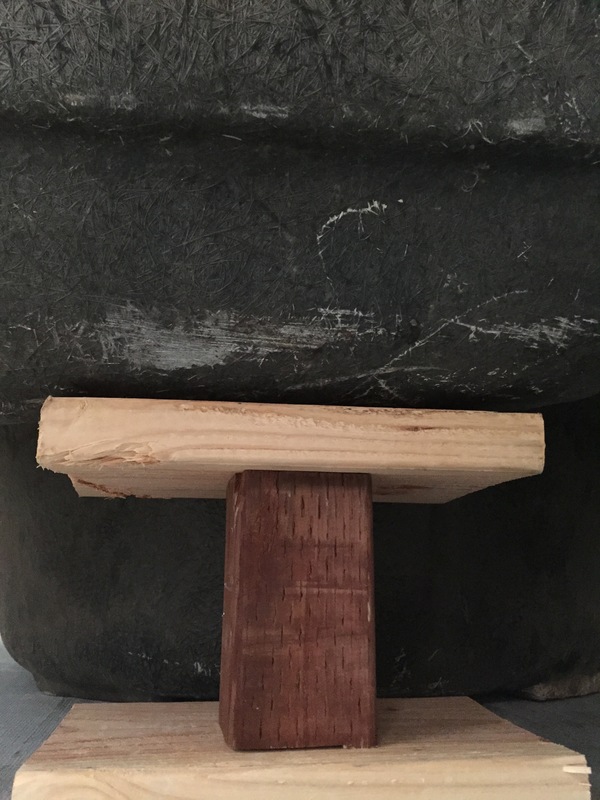 The following picture shows one example where the weight actually caused the vertical support boards to bow under the weight. This magnitude of deflection is very likely to cause sagging and cracking of the rim. If you look behind the skirt of a portable spa, and see any evidence of deflection, you can conclude that additional support might be needed. Sometimes, you can determine this by checking how straight and level the top edge is. 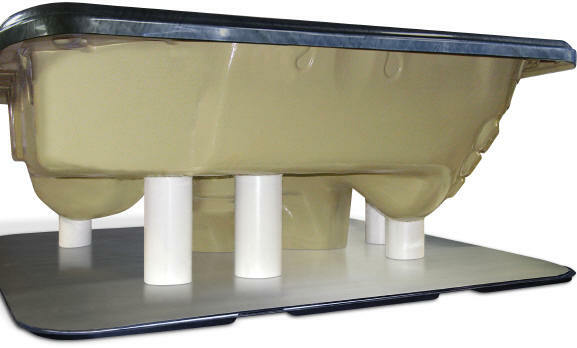 Portable spas should be placed on a concrete or other strong pad to facilitate the function of the supporting structure. 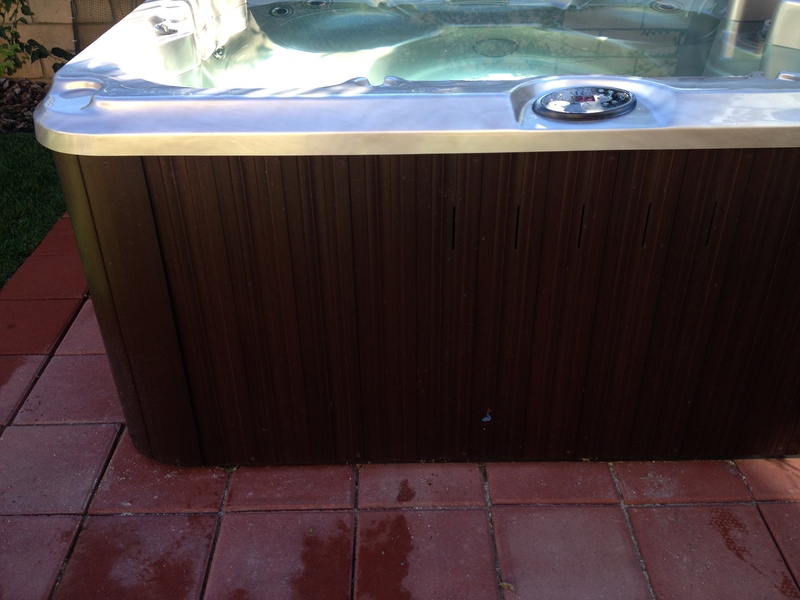 If the spa has a strong ABS base, it enhances the overall performance, providing it has the required design. In troubleshooting root causes, it is helpful to know that if the crack is separated, the area was in tension. If it is pushed together with a ridge, it was in compression. Now, if the spa is in-ground or installed into a wooden deck, it falls to the installer to assure that ample support is included under the frame, rim, seats, and foot-well of the shell to distribute the weight around those load-bearing surface areas. A commonly used technique is to wash sand into the cavity between the shell and the excavated dirt. It is important to provide support that limits deflection in all critical areas similar to the photo above showing the use of PVC pipe. The rim area also needs to be supported. The information above will apply to analyzing the cause of cracks in these type installations. I have included some pictures showing some examples of cracks from over stress. The cracks can be repaired by following Multi-Tech Products’ standard crack repair procedures as shown at the following link. The spa shown in the next photo developed cracks at the rim. Please note the brick blocks it sits on. Unless the spa has an ABS pan base or other type of rigid platform between the bricks and the spa bottom and constructed as a self-supporting unit, it would not comply with normal installation specifications from a manufacturer Therefore, cracks would not be covered by a warranty. Most portable spas are designed to set on a strong, steel reinforced concrete pad or a wood deck with correct spacing of deck joists, correct beam span, and proportionate post pillar spacing for strong deck construction. 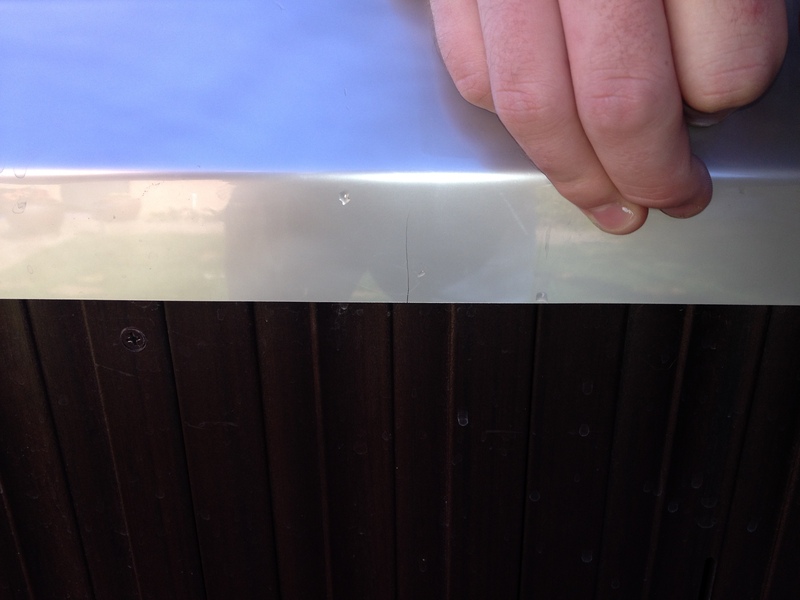 A weak or improperly supported deck would cause the same type of crack shown in these pictures. This spa’s crack was at the center of one rim edge. This suggests the spa is suspended at the rim with little support in the critical areas mentioned above. Large spas (> 7ft.) are more likely to crack in this manner. The following diagram shows one example of a well-designed deck. A technician should inform the customer of these issues, and make a recommendation to correct the support issues. If the customer chooses to ignore the advice but still wants the contractor to perform the repair, a warranty should not be provided. 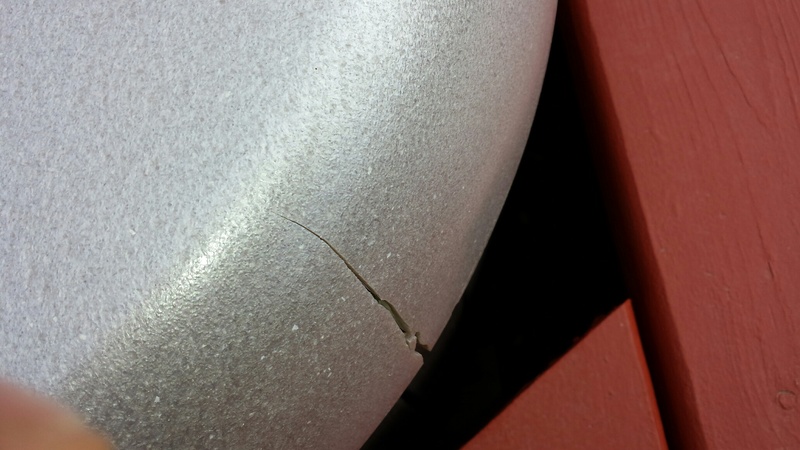 Also, this example of a crack edge would require structure repair at the back of the shell before the cosmetic repair was performed. Otherwise, new cracks would likely form in the future. The best service is to fix all of the problem sources to prevent future call-backs, and an unhappy customer. What causes wrinkling in a repair?